ekoparty October 21-23, Buenos Aires. ARM disassembling with a twist by Agustin Gianni and Pablo Sole. Exploiting GSM and RF to Pwn you Phone by Manuel Moreno and Francisco Cortes. Faux Disk Encryption: Realities of Secure Storage on Mobile Devices by Drew Suarez and Daniel Mayer. New Age Phreacking: Tacticas y trucos para fraudes en Wholesale by David Batanero. Hackito Ergo Sum October 29-30, Paris, France. Malicious AVPs: Exploits to the LTE Core by Laurent Ghigonis & Philippe Langlois. Android malware that won't make you fall asleep by By Lukasz Siewierski. 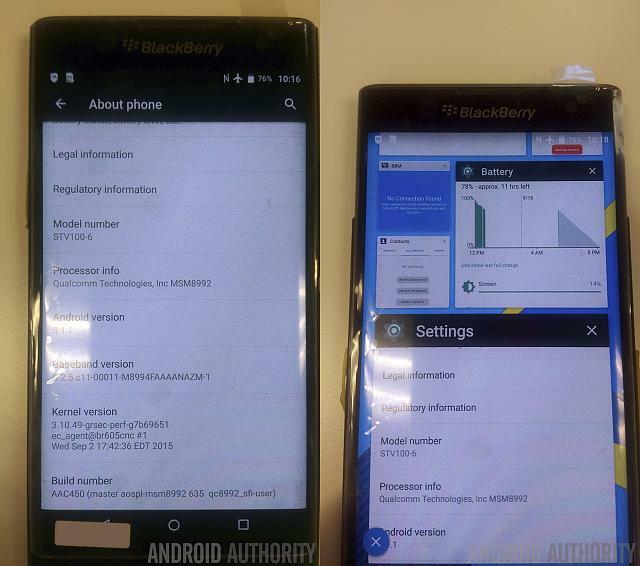 The RIM BlackBerry PRIV looks like a real interesting device. The PRIV seems to focus on security. The website claims a hardend linux kernel, and indeed they seem to run a grsec kernel as you can see in this picture (lower left corner) posted on the Crackberry forum. Some comments about this in this series of tweets. There is a new security news outlet with focus on the consumer angle it is called The Parallax. It is super new and does not have many articles yet. But I think the consumer focus could be interesting. I know that Button Inc in NYC is looking for mobile developers. Square is looking to hire multiple security people. Android Xposed Module to bypass SSL certificate validation (Certificate Pinning). An Xposed and adbi based module which is capable of hooking both Java and Native methods targeting Android OS. Nexus 6P has a hardware fuse that blows irreversibly when bootloader unlocked.